I want to sell my plot of 1000 sq.ft, current going on rate is Rs. 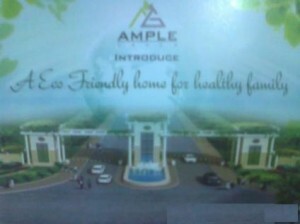 550. per sq.ft.+ 10% extra of the total plot value. (plot is on 40 ft. road) Plot is located in vigyan vihar yojna under AMPLE GREEN township plan on Dewa road ( 12 kms from matiyari chauraha ),near GNITM Engineering College,Barabanki. Area development charge is payable in future to the society.